Ibrox Noise: Bid being readied; could Rangers and Palace do a multimillion pound swap deal? Bid being readied; could Rangers and Palace do a multimillion pound swap deal? 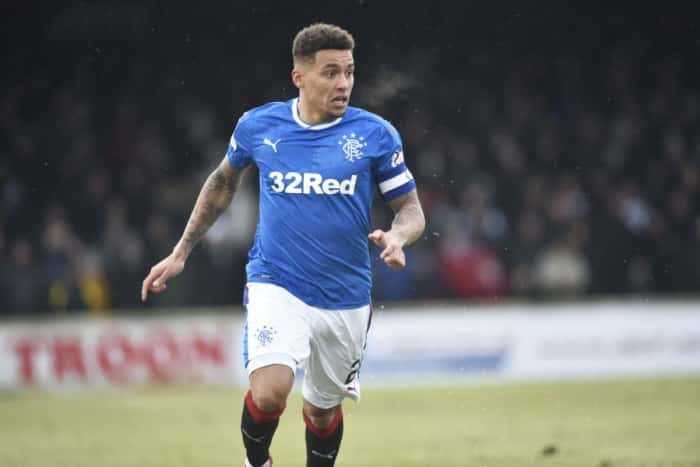 With news breaking today that English Premier League giants Crystal Palace are considering a £3.5M bid for Rangers defender James Tavernier, could a swap deal be in the offing? Rangers have been strongly linked with the services of Palace’s James McArthur, with a bosman transfer being touted, but that story went a little cold following the player’s own testimony that he is actually contracted for a further two years. However with The Selhurt Park outfit reportedly readying a huge bid to lure Rangers’ first choice RB south, Mark Allen and Steven Gerrard may well see this as an opportunity to get McArthur north and a chunk of change too. Tavernier has been long-linked with moves back south, and has frequently denied interest in a departure, but if Rangers are truly interested in the Scotland international, they may well see Tavernier as a legitimate makeweight in any possible deal. Transfermarkt.com has McArthur’s current value at around £4-5M, but negotiation is quite feasible and the player is now the wrong side of 30. This one could happen, and we’ll see if the powers that be take this route. Why do we need McArthur, our CM position is already over packed! You sir are insane! He would instantly improve your team considerably....problem is that you don't have 8-12 million spare and Palace are not going to sell him and lastly I doubt he would want to leave the prem for scotland either. You be a crazy mazy...he would improve your team greatly! and then who replaces Tav? Beerman? We may have plenty midfielders, unfortunately most are not good enough and must be replaced with higher quality. McArthur is on £50k + per week. We can’t pay anywhere near that so unless he is willing to take. 50% pay cut the deal won’t happen. He’d be mental to take that cut. Do we really need another midfielder? We need solid defenders and a striker or 2! Keep Tav as right sided midfielder and potential cover for right back. Sorry, but we have Arfield, McCrorie, Rossiter, Jack, Burt, Barjonas not to mention Dorrans etc who can bolt. I am not saying that they are all better than McArthur. I am saying we can't afford his wages and have greater needs for the limited spend we have available. So for me it's a no. If anyone wants Tav, bidding STARTS at £5Million. Under that we keep him. We would have to replace him, and not with MacArthur. Honestly, when healthy we have Jack and McCrorie to fill the type of role McArthur plays. He would be an upgrade over them, but a lower priority position imo. Swapping Tab for MacArthur won't happen. And I sincerely hope it doesn't. Tav is our best player - by a distance and we shouldn't be contemplating selling him under any circumstances. Ok, if get a bus for him at, say, £7m (which is his value in today's current market) then, I accept, we would consider it. But for anything less? Forget it! And like other contributors, I genuinely don't think we need a defensive midfielder like MacArthur!